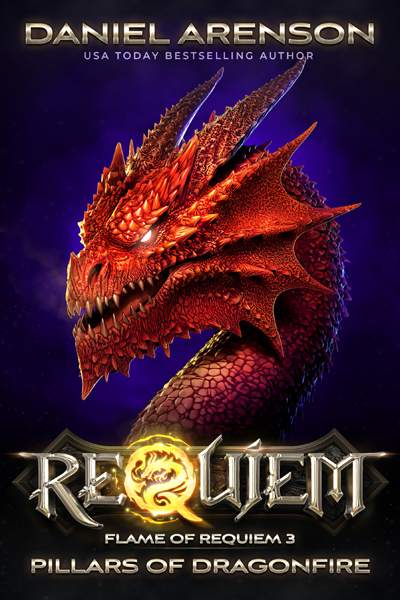 For centuries, Requiem's people have languished in chains, slaves to the seraphim, unable to become dragons like in the days of old. They follow Meliora the Merciful, a dragon of silver and light, once a princess of seraphim and now a savior of slaves. They rise up against the seraphim, their cruel masters, demi-gods in chariots of fire. A nation of dragons, half a million strong, they seek to flee the desert of their enslavement, to fly north, to cross the sea . . . to find the mythical land of Requiem. Yet as Meliora leads her slaves out from captivity, the cruel King Ishtafel, mightiest of the seraphs, pursues with an army of light. His goal is no longer to enslave the children of Requiem. He seeks but one thing--to slay them all. With shimmering scales, with raining blood, with shrieking dragonfire . . . Requiem's exodus begins.